VIP Experience at an Affordable Price! 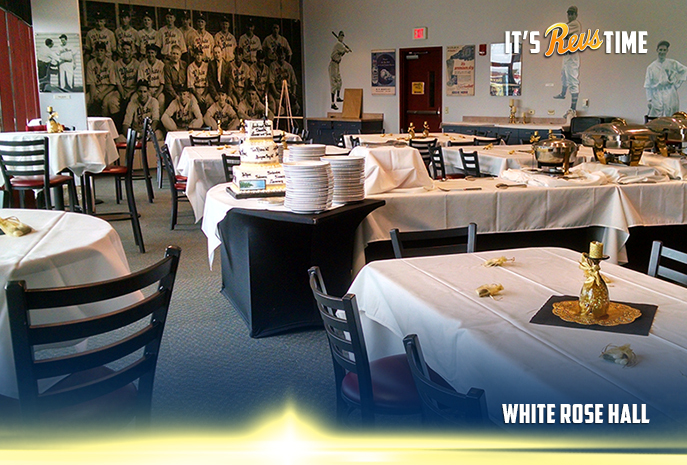 Parties of 50-200 can enjoy the Suite life in our White Rose Hall. Located directly behind home plate, the balcony seats are a spectacular view of the ballpark. The climate controlled suite features an all-inclusive catered ticket starting at just $40 a person. You’ll get dedicated staff and a full-service bar, all reserved exclusively for your group! (includes Double Menu; click here for White Rose Hall menu options).